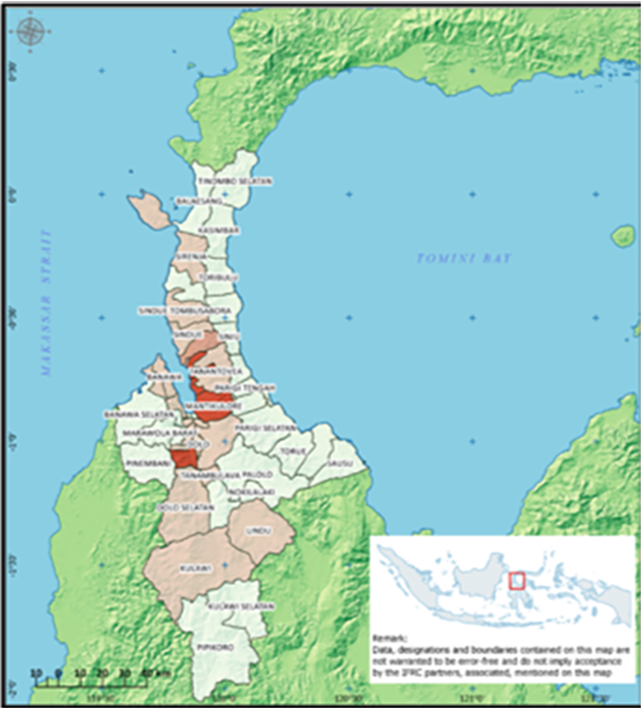 •	A massive quake hit the island nation’s Central Sulawesi province. The magnitude-7.5 temblor struck at 5:02 p.m. Friday, Sept. 28, generating a devastating tsunami and liquefaction. •	At least 4,547 people have been killed and nearly 173,000 people displaced (11/03/2019). •	Estimated over 100,000 houses are affected with 4,050 houses gone and more than 30,000 houses heavily damaged. However, the actual figure is likely to be much higher. •	Over 100 cluster partners are recorded in the shelter sub cluster. Of these around 20+ agencies report and engage regularly in the sub-cluster. •	Most agencies are currently focusing in providing temporary shelters (individual or collective). •	Shelter coordination meeting is conducted every two weeks, with SAG and district focal points have been established. •	Lack of reliable data due to conflicting definitions of displacement and damage. •	People are reluctant to move to the government-led collective shelters program due to uncertainties with the available facilities and services. •	Floods and landslides risk due to the ongoing rainy season. Aftershocks also still occurred.